Discussion in 'iPhone and iPad Games' started by TouchArcade Bot, Nov 19, 2015. Full version on sale! 33% OFF * 9 scenarios in the full version (one full scenario, plus 5 turns on scenario 2 in the FREE version). * Ambient sound effect system to enhance playing experience. Playing with high volume is recommended. * 3 different areas where the scenarios take place. Each area has its own distinct graphics. * The story progresses in each scenario and is told to you by archangel Gabriel. * Leaderboards for all difficulty levels. * Achievements to unlock if you play good. 23 in total. * Sounds and music. You can turn off music and/or sound if you want to in settings in the game. 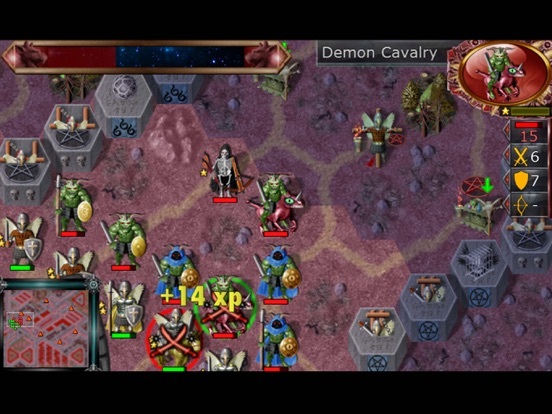 * Experience points, which level the units. 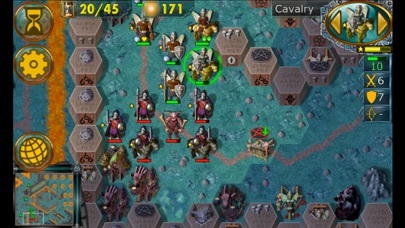 Levelled units have higher attack and defence values. * The units are transferred between scenarios with their experience and level. * 35 different enemy units to fight against. * Several difficulty levels to choose from. * AI playing speed can be adjusted to fit your liking. * Zooming features by pinching the screen. * Well performing AI. 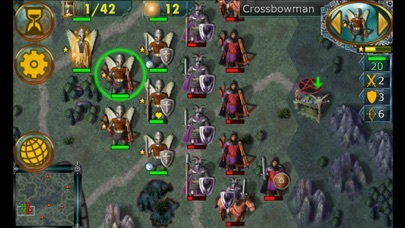 For instance the AI protects its weaker units with the stronger ones. * Autosave at the start of each turn and when exiting to game main menu. * Overviewmap window where you can get info about the map and current ongoing game. . . More detailed info: . 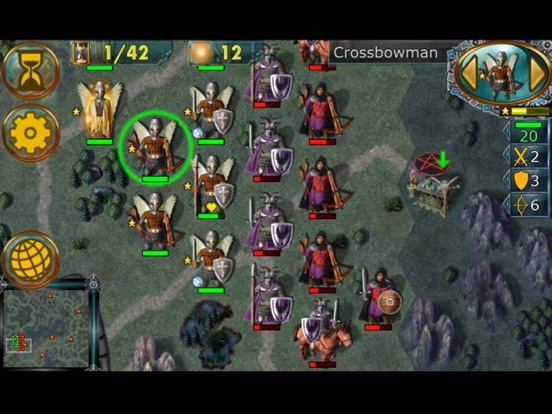 This is a turnbased strategy game, in which you play as a commander of an army of angels. . A satanic cult in the land of Earim on Earth, has opened at least one portal to Hell. The task of the player is to close all the portals. Both on Earth and in Hell. . Angels have already started the fight against the enemy but Heaven needs your help too. Some angels have gone missing and you will be asked to find them. Each of the 9 scenarios in the full game takes the story one step further. . . © 2015 … logo, music, game... All rights reserved. 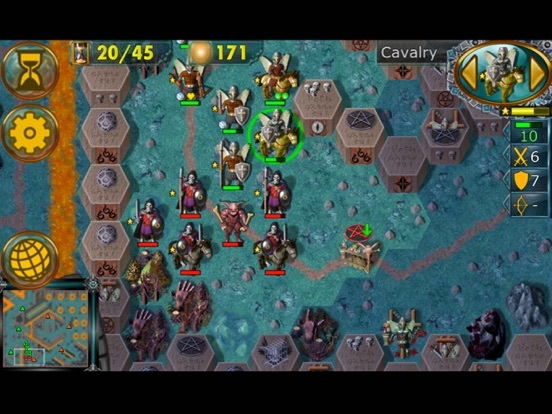 reminds me very much of Battle for Wesnoth. any impressions or reviews about this game? 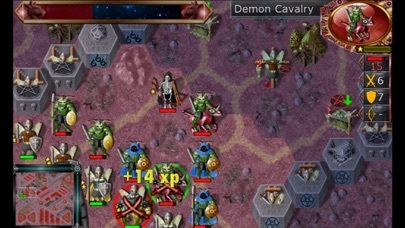 Everyone can play one full scenario and 5 turns on scenario 2 in the free version, to see how it feels.